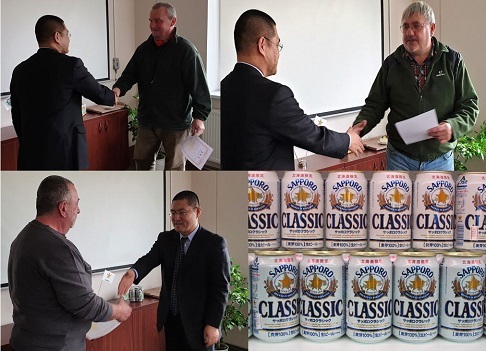 On February 22nd representatives of the Sapporo Brewery met with our CCFS growers. Mr. Koie introduced us to the requirements for the health and quality of hops from crop 2019. The farm CHMELEX Hořesedly was awarded as the best Sapporo´s supplier of hops crop 2017. Other two agricultural companies PETROHRADSKA and CHMELAR Destnice were aworded as the best suppliers in 2018. We tasted CLASSIC beer from the production of the Sapporo Brewery at Hokkaido, for brewing this brand the Saaz fine aroma hops is using. The consumption of this brand has been rising for almost 20 years.